Purchase Order commodity line level detail for City of Austin Commodities/Goods purchases dating back to October 1st, 2009. Each line includes the NIGP Commodity Code/COA Inventory Code, commodity description, quantity, unit of measure, unit price, total amount, referenced Master Agreement if applicable, the contract name, purchase order, award date, and vendor information. The data contained in this data set is for informational purposes only. Certain Austin Energy transactions have been excluded as competitive matters under Texas Government Code Section 552.133 and City Council Resolution 20051201-002. Flat file data set of the data found in the Austin Finance Online eCheckbook application. The data contained in this dataset is for informational purposes only and contains expenditure information for the City of Austin. Certain Austin Energy transactions have been excluded as competitive matters under Texas Government Code Section 552.133 and City Council Resolution 20051201-002; therefore, the line amounts may not reflect the total check amount if certain Austin Energy invoices were included on the check. Please visit the Austin Finance Online website for a searchable front end to this data set. Information about City's authorized spending limit, contract lifetime (called inception-to-date) ordering and spending. Contracts are visible only while active. For the purposes of the Online Contract Catalog Flat File, a contract is a long-term (multi-year) contract for goods and services, and contracts for Construction activity. Within the City, these are referred to as Master Agreements and Central Purchase Contracts.  This is a listing of the currently certified small business enterprises registered with the City of Austin. This dataset provides the public an opportunity to review the measures of each city department and helps to maintain open communication and transparency with Austin residents. It is the dataset form of the online database, ePerformance Measures, found on the City’s website here: http://www.austintexas.gov/budget/eperf/index.cfm. The City of Austin is committed to providing the highest quality services to our community members. As efforts to be the most livable and best managed city in the country continue, this dataset provides valuable information needed to sustain service levels, strive for excellence, and continue improvement. Performance measures provide departmental staff and management with the critical operating information they need to assess quality service delivery and measure success. Measures provide City management key decision-making information for resource allocation, process improvements and other management decisions. Measures also provide the City Council comprehensive data on each department's primary operating functions. Further information on some of the key terms utilized throughout the dataset can be accessed through the Definitions section of the ePerf website: http://www.austintexas.gov/budget/eperf/index.cfm?fuseaction=home.Definitions. The data shown in the dataset is based on the most updated information available and could change as more current information is provided. If you have any questions or comments regarding this database, or any budget inquiry, please contact the Budget Office via email at coa.budget@austintexas.gov or telephone at (512) 974-2610. Data and metadata updated often...please note About info for details.